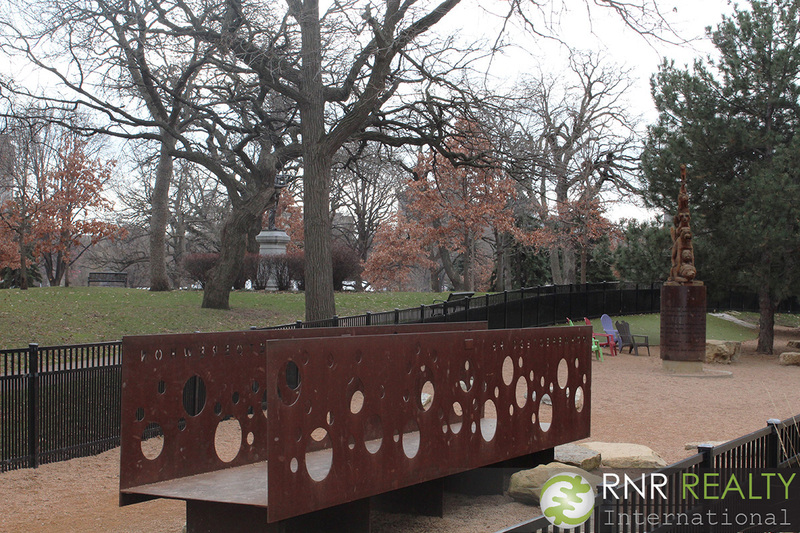 It’s the most wonderful time of the year…to visit Loring Park. The park has served as home to one of the Twin Cities’ most beloved holiday traditions, Holidazzle, since the event relocated from Nicollet Mall in 2015. A celebration of all things holiday and all things Minneapolis, Holidazzle brings together local vendors, ice skating, music, and movies to equal winter fun for all ages. Another cold weather favorite is Winterfest, held annually in February: a night of caroling, carriage rides, crafting, and ice skating. Even though the holidays will be over by then, there’s no reason you can’t keep the festive spirit alive all winter long! 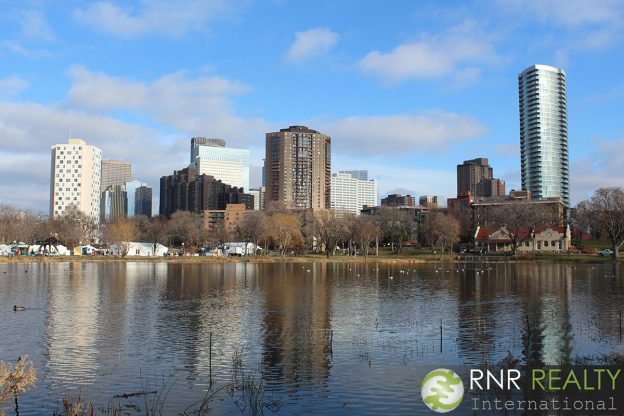 If venturing out in the -20 degree weather isn’t exactly your cup of tea, Loring Park is luckily beautiful to visit no matter the time of year. In the spring and summer, the Garden of the Seasons is in full bloom and features colorful florals and perennials, as well as wildlife (including the adorable resident albino squirrel!). A part of the #1 park system in America, Loring Park also boasts a nice-sized dog park and the Loring Community Arts Center, offering recreational programs (from cooking to yoga) and playing host to private events and receptions. Moreover, each summer, the park attracts large crowds for the Twin Cities Pride Festival and the Loring Park Arts Festival. Originally called Central Park (yes, like that park in New York City), the park was renamed in 1890 to honor Charles Morgridge Loring, who was the first president of the park board in Minneapolis and is nicknamed the “Father of Minneapolis Parks.” Loring is largely responsible for negotiating the acquisition of large plots of private land throughout the city, especially along lake shorelines, and converting it to public parks in the 1880s. Beyond the edges of the park itself is the rest of the neighborhood, which extends north to 394, west and south to I-94, and east to Highway 65 and 12th St. One of the neighborhood’s most photogenic sites is, of course, the Basilica of St. Mary. 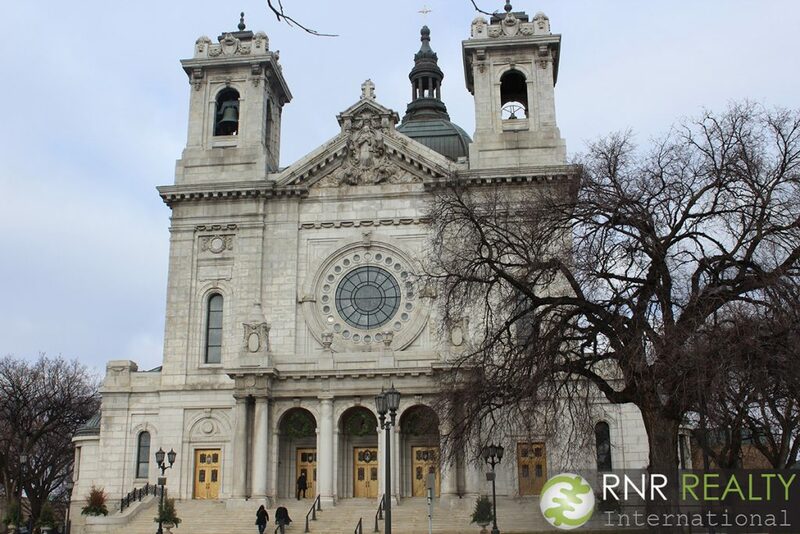 Known as “America’s first basilica,” St. Mary’s has hosted the Basilica Block Party each year since 1995, to raise funds to restore and preserve the historic landmark. With big name acts such as The Fray, Death Cab for Cutie, and Weezer taking the stage in the past, the Block Party is always one of the city’s biggest events of the summer. 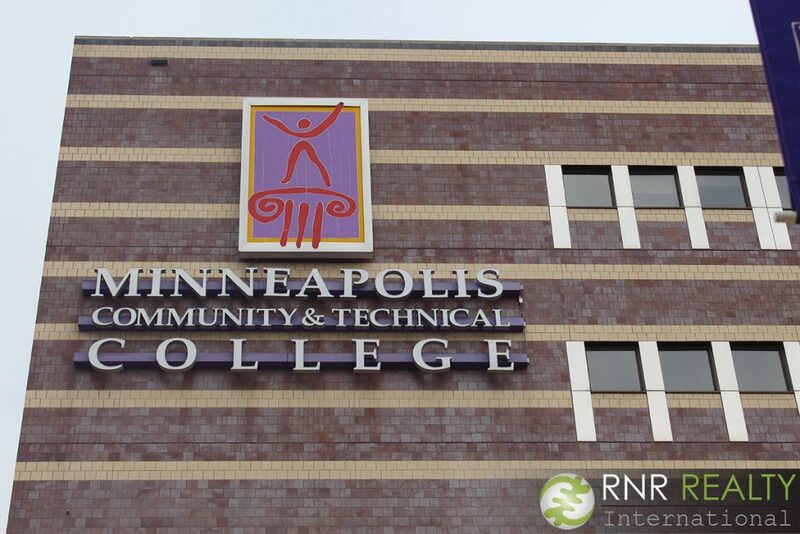 Another recognizable neighborhood landmark is the Minneapolis Community & Technical College, colloquially known as MCTC. 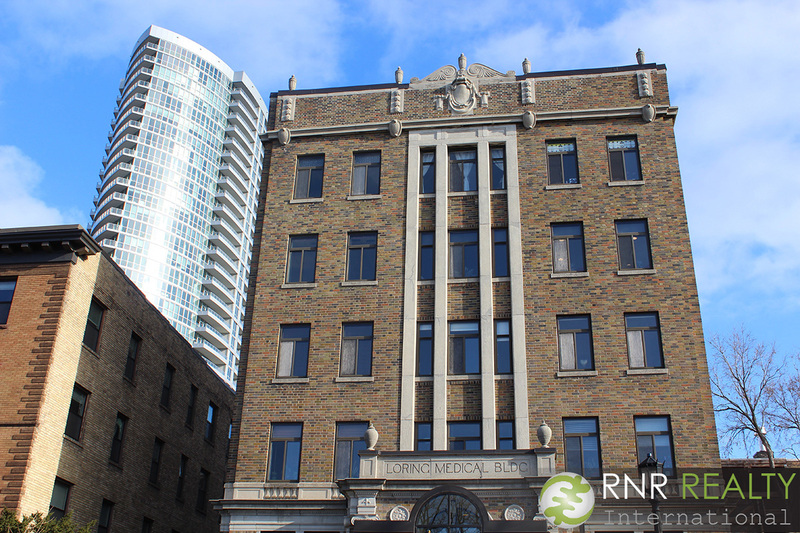 In 2014, the school celebrated 100 years of educational service to the diverse downtown community. Now covering more than 21 acres of land, MCTC enrolls nearly 13,000 students each year, which is about 5,000 more people than the entire neighborhood’s population! 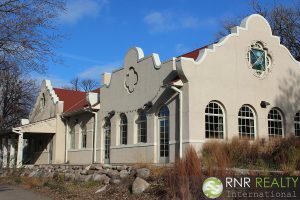 Speaking of the local populace, many Loring Park residents are below age 34, married with no children, and are employed in health care or professional fields. These people in particular seem to be attracted to the neighborhood because of its proximity to downtown amenities and available housing styles, consisting mostly of condos, lofts, townhouses, and apartments – suitable to their childless and busy lifestyles (multi-family homes often require less maintenance than single family homes). As you can see in the chart above, inventory is at its lowest point since June 2013, with just about 20 townhouse or condo units currently for sale. 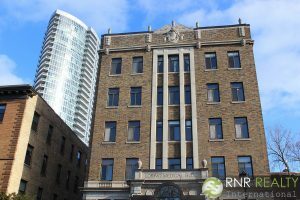 While the neighborhood is known for its characteristic brownstones, in recent years, there has also been an uptick in development of modern lofts and condos to keep up with demand (there’s always more room to build upward rather than outward). With a median sales price of $230,000, the neighborhood is relatively well-priced compared to the city as a whole, making it a popular place to settle for young professionals. Along with new development, hip eateries and breweries such as Lakes and Legends, are bringing new energy to the neighborhood. 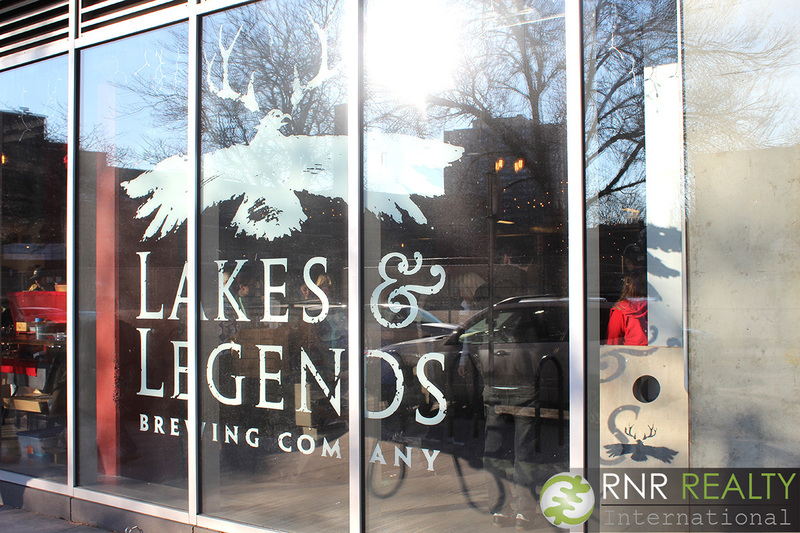 Lakes and Legends Brewing Company, which just celebrated its first anniversary last week, often hosts community-centric events and markets that promote local artisans. Likewise, 4 Bells and The Third Bird draw a sophisticated yet relaxed clientele, with inviting venues and innovative yet accessible menus. Even with all the popular newcomers, though, longtime staples such as The Nicollet Diner and Salsa a la Salsa still attract a loyal fanbase by offering delicious food at reasonable prices. 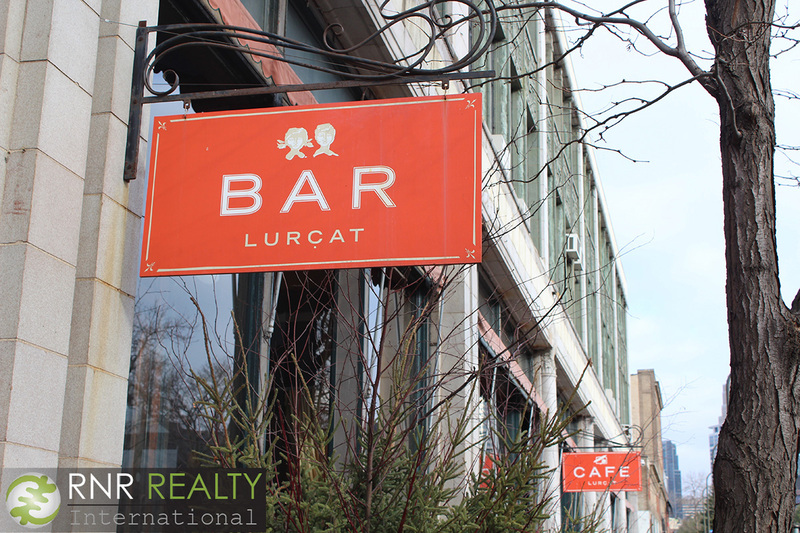 Additionally, Cafe and Bar Lurcat is as much a favorite of critics as it is of swanky foodies, having won numerous awards over the 15 years it’s been open. It is admittedly pricier than other restaurants nearby, but the ambiance and cuisine surely justify the higher price point. Brides-to-be have plenty of reason to visit Loring Park, with several bridal boutiques located in the neighborhood, such as a and bé and Che Bella (both pictured above) and annual bridal shows held at the Convention Center. 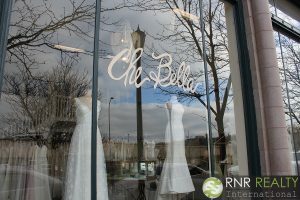 There are also many churches, venues, and restaurants that are perfect for ceremonies and receptions in a nice central location. The nearby hotels, such as the Hyatt Regency and Millennium Hotel, are ideal for weddings – from hosting bridal parties to receptions to rooms for out-of-town guests and bride and groom suites. 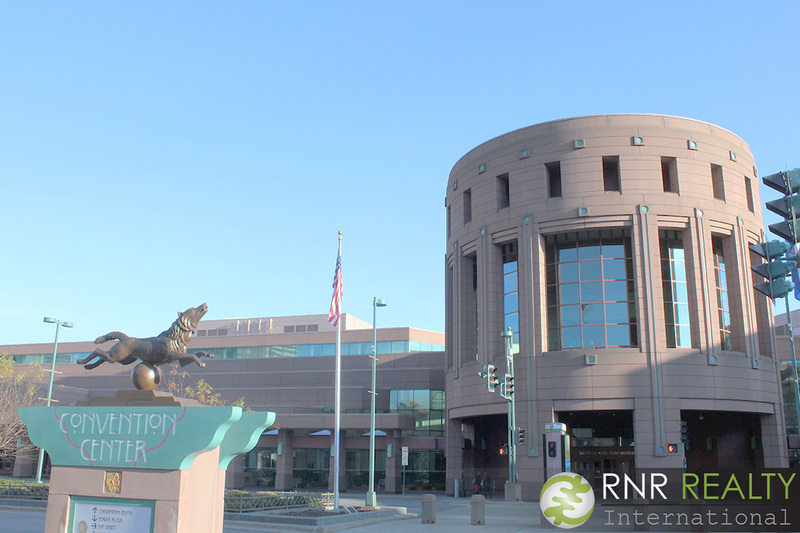 Speaking of the Minneapolis Convention Center, it is certainly one of the most well-known features of the Loring Park neighborhood. Each year, the venue (with 475,000 square feet of exhibit space and 87 meeting rooms) holds hundreds of events, ranging from business meetings to private parties, the aforementioned bridal shows to home expos, ComicCon and beyond. If you’ve never been to the center in person, it’s definitely worth a visit, as the size, service, and happenings are all quite impressive. 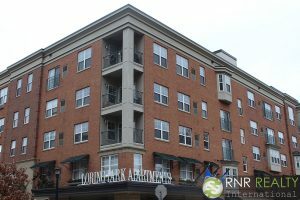 Are you a resident of Loring Park, or thinking about moving to the area? Let us know in the comment section below! 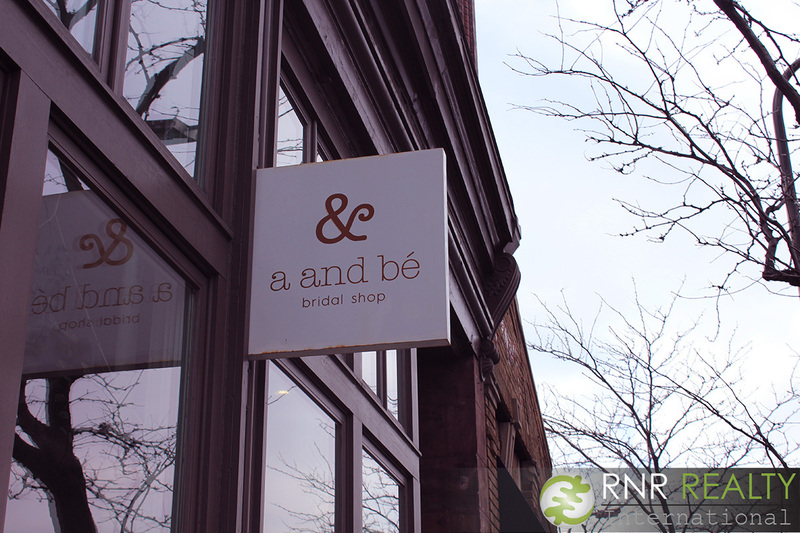 This entry was posted in Best of the Twin Cities, Neighborhood Features on December 5, 2016 by admin.